From now until March 31, 2020, buy Emperor Cinemas movie tickets to enjoy fabulous privileges plus a faster and simpler Points redemption experience. The first two Emperor Cinemas in Hong Kong were unveiled at Entertainment Building, Central and Tuen Mun as from 2017. Emperor Cinemas pioneers in fully digitalized cinema service, online ticketing service fee waiver and e-ticket admission, offering the ultimate convenience and luxe movie going experience to all audiences. Offers valid till March 31, 2020, and only applicable at Emperor Cinemas ticketing kiosks, website and mobile app. The promotion period is from November 8, 2018 to March 31, 2020, both dates inclusive (“Promotion Period”). Unless otherwise specified, this promotion applies to cardholders ("Cardholders") of Citi Credit Cards issued by Citibank (Hong Kong) Limited (“Citibank”) (“Eligible Cards”). Except Citi Cash Back American Express® Card. Emperor Cinemas (“the Merchant”) may reject an Eligible Card if its payment system cannot handle the Eligible Card type. Please contact the Merchant for details. Offers are only applicable to purchase a regular-priced 2D movie ticket from Monday to Saturday (Except Public Holiday and designated blackout dates). Offers are applicable to Emperor Cinemas ticketing kiosk, website (https://www.emperorcinemas.com/en) and mobile application only. Availability of the offers is subject to offer or service availability, account status checking and final acceptance by Citibank and the merchant's absolute discretion. Photos, product specifications and prices are for reference only. Citibank shall not be responsible for any matters in relation to the related products or services provided by the merchant. The merchant is solely responsible for all obligations and liabilities relating to such products or services and all auxiliary services. All matters and disputes are subject to the final decision of Citibank and the merchants. Citi Pay with Points Redemption Service (“Service”) applies to Principal Cardholders ("Eligible Cardholders") of Citi Classic Card, Citi Gold Card, Citi Rewards Card, Citi PremierMiles Card, Citi Prestige Card, and Citi Ultima Card issued by Citibank (Hong Kong) Limited ("Citibank") ("Eligible Cards"). This Service is applicable to the Single Net Transaction (as defined in Clause 3 below) Cardholders made at Emperor Cinemas mobile application or website www.emperorcinemas.com (“Emperor Cinemas’ Online Platform”) with a credit card issued by Citibank (“Eligible Transaction”). To enjoy this Service, Cardholders must verify their identity by providing the last 4 digits of their Eligible Cards and their mobile number that has been registered with Citibank, as per Citibank’s last updated record, to receive a One-Time Password, and the identity verification will be confirmed upon the One-Time Password is correctly entered. Eligible Cardholders can select the amount to redeem with Citi Points (“Points”) and complete the redemption under the Service. If the Eligible Card account provided by the Eligible Cardholder is not a credit card account for effecting the Eligible Transaction, the redemption amount will be posted to the Eligible Card account provided by the Cardholder according to Clause 6 as a statement credit, which can be used for offsetting the purchases other than the Eligible Transaction. The Service is valid immediately after performing the Eligible Transaction. In any case Cardholders exit from Emperor Cinemas’ Online Platform voluntarily or involuntarily including but not limited to network disconnection, technical device malfunction or unexpected outage on Emperor Cinemas’ Online Platform, during any of the steps illustrated under Clause 4 above, Cardholders will not be eligible to enjoy the Service and will require to make another Eligible Transaction at Emperor Cinemas’ Online Platform to enjoy the Service. Identity verification is required for every redemption made by the Eligible Cardholder. The amount of Points redeemed for statement credits to offset Eligible Transaction will be deducted from Eligible Card account. Cardholders may redeem up to Eligible Transaction amount in full with Points or available Points at Eligible Card account (whichever is lower). Cardholders must redeem a minimum amount, which is subject to the minimum required Points shown in the Citi Pay with Points page under Emperor Cinemas’ Online Platform for each redemption. Statement credits will be posted to Eligible Cardholders’ Card Account within 7 calendar days of redemption. The redemption rate varies by credit card types and may change from time to time. The exact redemption amount and points required are based on the display at the Citi Pay with Points page under Emperor Cinemas’ Online Platform at the time of redemption. Cardholders must promptly update Citibank of any change to mobile phone number. Citibank shall not be liable to any Cardholders or anyone else for any losses or damages arising from the Service. If under any circumstances Eligible Cardholders return or cancel the Eligible Transaction, any associated statement credit will remain on Eligible Cardholders’ Card Account and Points will not be returned. Unless otherwise specified, Terms and Conditions of the Citi ThankYouSM Rewards Program apply. 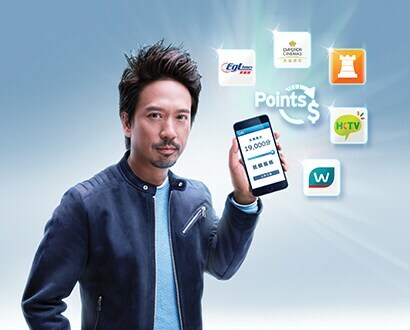 For details, please visit www.citirewards.com/cms/sites/globalrewards-hk-eng/terms-and-conditions.page.